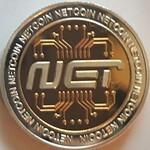 Feb 14th, 2015: Netcoin Foundation Announces NETUCATE! A real solution to education problems around the globe. PROBLEM: Public Education is Failing our youth. A vision to help support and empower independent learning, everywhere. In today’s world of education and learning, large divides and gaps exist. From educational systems that have been reduced to standardized testing, removing the ability to really “teach” and instruct children (instead focusing kids on how to pass an exam), to a lack of support for those parents who have chosen to teach their own children… the system is broken. On top of that budget cuts and program restrictions are removing some of the most vital components to the development of an individual. Some families (and individuals) have taken it upon themselves to educate, choosing instead to focus on teaching and learning in ways that are vastly different from the public system. Some (albeit very few) schools teach and educate in ways that actually encourage and foster the individual growth, leaving those who “self teach” or “home-educate”...on their own, both from a resources standpoint and financial standpoint. Cryptocurrency is still in it’s infancy and in that..there are a lot of people who view it (and use it) as a means for selfish gain. However, cyrptocurrenices have also opened up brand new doors and opportunities and have brought people and communities together, building towards something good. Like most things in life, cyptocurrency in itself, is neither good nor bad, HOW it’s used and for WHAT it is used, is up to the individual. It can be used for good, and much good. Of course, with cryptocurrencies...and ones that are solid, stable, and growing, there is an opportunity to create a lot of wealth. What the developers, foundation, and those that posses the coin do with that wealth increase, ultimately, is a big question. Many of the foundation members are parents and have kids of varying ages. As we’ve discussed about the future of Cryptocurrencies, , and how to continue to innovate and build for the next generation, we began to see a common thread: A care and concern for the education of the next generation. The more we brainstormed, the more we agreed that Crypto, and specifically , was poised to be a medium by which education and learning could be provided to those who wanted and deserved to have access to the resources needed. As Cryptocurrencies are becoming more and more a part of daily life (just like the internet has become), we want to be a resource for anyone (not just kids) to understand cryptocurrencies, what they are are and what they can do. 2) Putting our Coin where Our Mouth is. -Every Foundation Member will donate a percent of current holdings into an Educational Endowment, and the stake (interest) earned will continue to help fund the endowment. -Every Foundation Member will donate a percentage of their stake rewards for the educational Endowment (Stake For Education… or S4E), forever. -NETUCATE will establish an endowment to be not only a monetary resource for families, children, and individuals but also begin to open up new doors within the education realms. The Wallet will be unveiling an S4E (Stake For Education) Feature.... Every user will have the option (and ability) to donate a percent of their stake rewards to help support children’s education by adding to the NETUCATE Endowment Fund. In future wallet builds, we aim to have this hardcoded in so you can set up easy/direct donations as you wish. Donations of any other cryptocurrency as well. Contact the Foundation at: Support@netcoinfoundation.org to learn more. but I am wondering if is willing to pay someone to create educational material for netucate? What types or categories will netucate be trying to teach or provide information about? Is it mainly techy type information, or will there be moral, spiritual, ethical, legal, religious type material ? Is there a preference for certain types of philosophical or religious material? The NETUCATE site build is underway! Stay tuned...we'll be unveiling screen shots and more features as the work continues! but if you give me the url I will look. I could post about Netucate at internetcoin.wordpress.com if you like, but give me some feedback what you would prefer I post, or even write the whole post yourself, and I will give you attribution and post it. Thought I would offer that little bit of work to and Netucate. I am thinking of making a gif.